As Mother’s Day is almost upon us, I thought to write about my mom, Shirley, who was a master in the art of listening. Her amazing skill was natural and may have been her single greatest creative talent. Shirley listened with her entire being… with her ears, eyes, body… with her soul. She listened with patience and empathy; with intuition, and most importantly, without judgment. Her ability to literally “feel” what people were saying was a magnetic force that attracted friends, family and even strangers to the comfort that her presence brought them. It wasn't her wisdom, nor was it her advice that attracted people… she rarely offered either one. It was Shirley’s “in the moment”, concentrated listening that encouraged an outpouring from whomever she was engaged with. 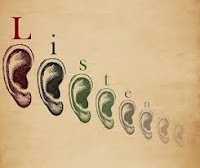 When we are truly listened to, it encourages us… allows us, to unfold and expand. Simply put… it makes us feel good and naturally comfortable. What were some of the Secrets of my Mom’s ability as a master listener? First, and maybe most importantly, the secret is simply “silence”. Sincere listening requires us to quiet the mind, be peaceful, and totally in the moment without any predetermined attitude, and without judgment. Our focus is entirely on the other person, with no distractions; easy but direct eye contact, and a heightened awareness of body language. Communication experts estimate that as much as 80% of a speaker’s communication is non-verbal, and that body language… notably the eyes, facial expression, breathing, and posture, can speak volumes. This physical state of the speaker is as important, if not more so, than the spoken word. Sometimes, even with no words at all, feeling can be conveyed with a single glance. It is this instinctive interpretation of emotion and attitude that can be quite different than the words we hear. The more we develop a better awareness of non-verbal communication, the better listeners we become. I often say that “we should listen carefully for what people are not saying”. Practicing this discipline adds an awareness and skill to the active listening process. This practice helps us understand how people really feel. Words alone, especially emotional words, rarely reflect the true meaning of the spoken word. Awareness of body language is instrumental to listening deeply, and while providing enormous insight, there is much more to becoming a master listener. In order to correctly internalize true meaning and avoid misperceptions, a great listener is silent 80% of the time and asks clarifying questions about 20% of the time. Good questions bring the topic into sharper focus and prompt the speaker to clarify their thoughts while verifying the listener’s perceptions. It summarizes by pulling ideas, facts and feelings together, confirming one truly understands what is being said or communicated. My dear Mom, Shirley, was really good at this role of listening. She would seamlessly act as a mirror reflecting back to the speaker what she thought she heard… asking simple questions, repeating the speaker’s own words, nodding her head, leaning in and connecting with deep empathy. It was magic. It was an act of love. Conscious, focused, empathetic listening is a powerful “Secret of Life”. Do you create your life, or does life just happen to you? 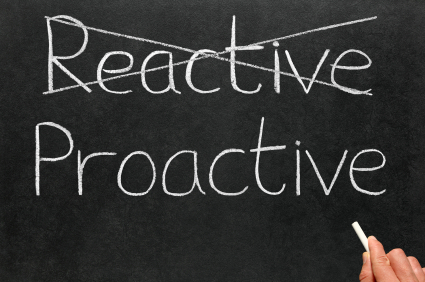 Are you proactive or reactive? Are you willing, motivated, and self-aware to take responsibility for your time on this planet? Every day we wake up and face a day of choices. We can choose to procrastinate, to worry, or be fearful. We can choose indecisiveness or mediocrity. Or….we can take control of the moment and make things happen. We are all human beings with free will…..we have the ability to control our behavior and our mindset. Each of us has the capacity to choose our thoughts, our emotions, and our beliefs. We have the power to take responsibility for our destiny. With all that we have been blessed with…. free will, creative thought and belief, many of us don’t bother to take responsibility for directing our lives. Most people think reactively. They automatically react to daily stimuli; to whatever life throws at them. Instead of taking initiative and making things happen, they generally stay within their comfort zones. Habit and fear keep those reactives from the risk of going “above and beyond”. Devoid of proactive action….without energy and effort in taking personal responsibility to create a journey of happiness and achievement, life just happens! The reactives “go with the flow”…wherever the flow takes them. A proactive knows that one of the “Secrets of Life” is to nurture a habit of personal initiative. By applying willpower and creative imagination, we can successfully engineer our lives. We can choose our path based on our individual core values, our self-awareness… and most importantly, our ultimate life goals. Exactly what is personal initiative? Simply, it is recognizing what needs to be done and then doing it or even more, without being told. It is using our imagination to problem solve; to perform a service of value to others; to take action outside of our comfort zone. Practicing the habit of personal initiative takes us closer to achieving our goals and purpose in life without the expectation of acknowledgement or reward. Every day whether at work, play or while going about our daily routine, we come face to face with opportunities to render additional service that might contribute in some small way to improve the lives we touch. Every day, by taking personal initiative and a proactive approach, we have the opportunity to make a positive difference. Taking personal initiative is not only being proactive… it can also be a “Labor of Love”. This “Labor of Love” not only generates positive energy, it also brings the intrinsic reward of passion and joy. When we live a life of personal initiative, our “above and beyond” efforts produce positive results and afford us the choice of creating a life with intention and purpose. Personal Initiative is a “Secret of Life” that is fundamental to realizing and creating our future. So….are you ready to create your life, or will life just happen to you? The written word is powerful. When I sit down to write, it forces me to think… to reflect… to focus on ideas and insights that are waiting to come to me. I find writing is a creative release of what was often not accessible to my noisy, thinking mind. I write to think, to hold myself accountable… to let my insights flow. Writing is a hugely powerful way to focus my attention, to keep track of life, communicate my emotions, nurture relationships and much more. So why are we witnessing the rapid loss of this, “Secret of Life”? In this day and age, people tend to communicate cryptically; in short hand with little practice in the art of the written word. Writing skills are just not deemed important in this electronic age. Sometimes I wonder if we are no longer teaching our children the value of being able to put thoughts and ideas into a coherent, well written form. Working daily with professionals in their 20’s and 30’s, I’m often frustrated at the overall lack of creative writing power. Many believe they have the skill; few actually have developed the discipline. Think about how we improve our lives by making lists. What would we do without our lists? We would be lost. Just the act of writing it down organizes us. One of the simplest forms of improving memory retention, taking notes, creates a permanent clear record of what would otherwise be a vague recollection of thoughts about a particular moment in our life. How many times have you heard “Did you get it in writing?” for a business deal? Without the written document, people often remember the transaction differently months, even days later. Whether in our personal or professional lives many decisions involve making complex choices. To fully understand the complexity of an issue as well as the various solutions, we must write it down, whether electronically or in old fashion long hand. There is no way we can effectively solve problems without data and the focus of the written word. Writing it down can change our lives. One of the most insightful “Secrets of Life” I have learned is writing down my goals. I truly believe that 50% of accomplishing our goals in life is writing them down… and when you combine written goals with a laser like focus, you create personal vision. Learn to write… it is a process of self-observation… a form of creativity that surfaces the answers… it makes the invisible visible… it is a vital “Secret of Life”. Ever wonder why we undermine ourselves with the negative assumption that we can’t accomplish something…or why we negotiate against ourselves and allow paralyzing fear to keep us from living our dreams? Why…because we’re stuck! We hold ourselves back from creating a successful future and deny ourselves achieving our true potential. Simply put… “We get in our own way”! “Getting in our own way” begins with lack of belief and lack of faith in our ability to accomplish our dreams. We think too much… we strategize, we analyze… we doubt and then we hesitate. Instead of fully embracing a plan of action, we allow those negative conversations in our head to create excuses. So, what should we do to overcome our resistance?? ……Stop thinking so much and start acting! Action…repetitive focused action, builds positive momentum towards achieving measureable, satisfying goals. We accomplish nothing until we act. It doesn’t have to be a perfect plan in order to passionately commit. We can always fix it, tweak it, and refine it along the way. Most important is that once we commit, there should be no room for doubt. There is only room for “unyielding determination”… for perseverance… for dogged intensity. 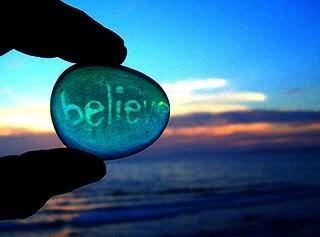 There can be no stopping, no succumbing to resistance… we just need to get out of our own way and believe. Anything and everything is possible. 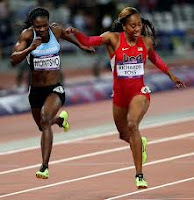 The spectacular 2012 Summer Olympics in London are happening as I write this blog. And what do we see? Passionate, super human effort smashing world records by young, intense, over prepared athletes. The awe inspiring performances of these highly skilled athletes is proof…complete confirmation, that focused action towards a goal executed with passion, unyielding faith and determination, creates powerful, measureable results. The Olympic athletes have learned to overcome their fears, train incessantly smart and “get out of their own way”. 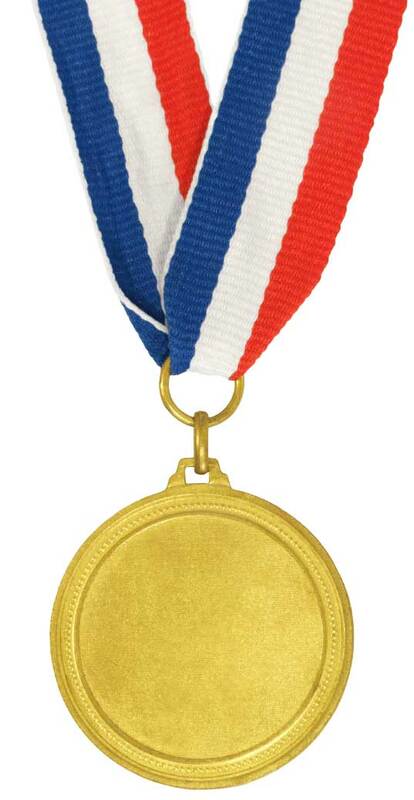 They are all winners. Winners believe. Winners believe in themselves, they believe in what they passionately commit themselves to. They work harder, achieve more and are totally driven toward their goals. Winners take responsibility for their actions and don’t assess blame. They accept setbacks and failures along the way only to pick themselves up, keep on going, and not look back. Olympians are pinnacle role models for overcoming resistance through intense repetitive action, tenacious resolve, positive attitude and passionate purpose. These 17 days of the Olympic Games are testament to “best in world” athletes who so profoundly understand the value of “getting out of your own way” as one of the insightful “Secrets of Life”. 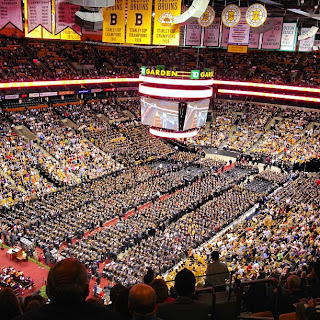 Last Friday, I had the privilege of attending Northeastern University’s Graduation Ceremony at the Boston Garden. 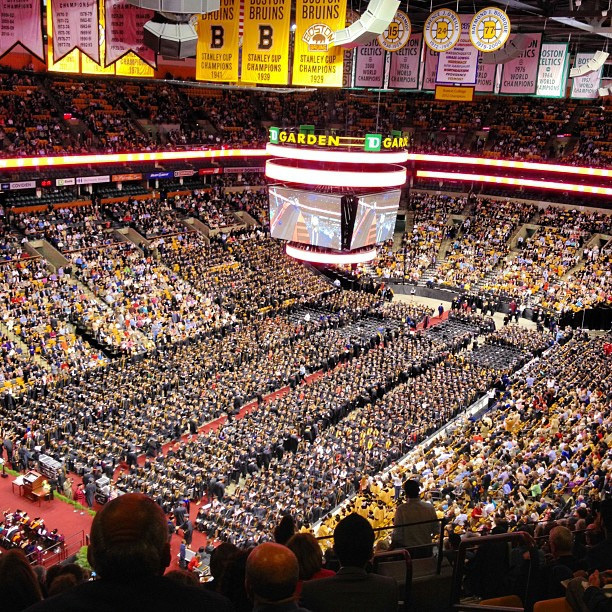 The arena was filled with over 4,000 energized graduating students and 20,000+ guests. The atmosphere was one of joy and anticipation. 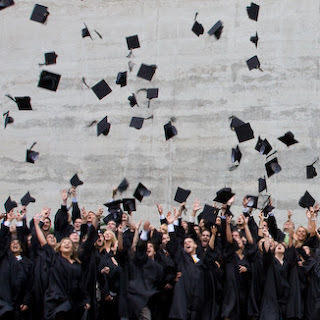 Students were both proud and relieved to have completed their undergrad studies and receive their coveted diploma. Yet their joy and excitement in reaching this important milestone was mixed with anxious anticipation of their unknown future. It was up front and immediate….it was right before their eyes. Who would they be when they grow up? What did life have in store for each of them? In those electrified few hours of the graduation ceremony, the love and pride of family and friends was palpable... you could feel the positive energy in the air. These graduates were ready and eager to dream. It could be best described as…… a “Perfect Moment”. I had never been to a big University graduation before (I forgot to show up at my own), and found the experience profoundly inspiring. All of the honored speakers encouraged the students to create their futures…to never stop learning; to venture into areas unknown and not be afraid. They challenged all of us to dream, to create our own vision… to aspire to greatness. Aspiring to greatness is an essential “Secret of Life”. Our inspirations…our dreams, are as important as the air we breathe….they are vital to life. Aspirations drive us in a direction to become better than ourselves. When we aspire and fully commit to a goal or a vision, we achieve. Our aspirations are clearly our goals. And our goals are simply our dreams with measurable results connected to a timeline. A dream without a measurable action plan and definitive deadline is just a “wish”. And the difference between a dream and a wish is everything in determining quality of life. Why bother aspiring to mere mediocrity? Why wish our way through life? Why settle for less? In order to create our futures….to move forward in life, we need to expand, grow, and extend beyond our boundaries. We need to focus our personal will to become better, to become more! We need to aspire to greatness. Where I work, at the Hearts On Fire Brand, we called them “BHAGs” (big, hairy, audacious goals). All of us at Hearts On Fire aspire to be “Best in World” at what we do. Aspiring to be “Best” creates passion for our vision and keeps us motivated towards action. We hold ourselves and our teammates accountable to measurable goals… accountable to our BHAGs. At Hearts On Fire, when we are in the “Zone”, it’s a beautiful thing. I often describe it like dancing in a complex and demanding ballet. With a single vision of perfect execution, the dancers (team) dance toward the crescendo… the finish….the deadline. The dance… the activity….the project, creates art and accomplishment. It generates a magical momentum of movement. Our aspirations and our dreams in many ways determine who we are and how we encounter life. Deciding to re-set or better yet, re-create our aspirations, sets us in motion to positively influence and change the quality of our lives. So, dare to dream! Dream dreams that no one before has dared to imagine. Commit with unyielding determination to a dream bigger than what you already know or know how to do, and you will surely create a life of adventure and achievement. Every time I see Bruce Springsteen and the E Street Band I am transported to another world. It doesn’t matter what my mindset is… stressed or ready to party… Bruce and the Band generate musical energy that restores my soul. For three emotional hours I am lost in a spiritual experience… a mini vacation from daily life. I dance the entire time….I sing with total abandonment….. my heart is clearly on fire! I have purposely jumped into a deep pool of pure joy. In these perfect moments of musical bliss I am connected communally with almost 20,000 fans. Together we create mind boggling energy, orchestrated by our indefatigable minister of rock and roll… Bruuuuce! We are all sharing a spiritual moment… a perfect moment of harmonious FUN. All 20,000 of us are collectively bonding. We are experiencing one of the most dramatic effects of Bruce and the E Street Band… the music’s power to induce an almost trance-like state. Bruce (music) has the power to transport us into the “Zone”. Every culture throughout man’s recorded and unrecorded history has generated music-induced trance-like states. It is often ecstatic singing, dancing, rhythmic rocking, and the powerful beating of drums that breeds excitement and connectiveness in the participating community….it’s primal. Humanity has been singing, dancing, and praying together for a hundred thousand years. It is a basic, intrinsic “Secret of Life” similar to a deep meditation that can alter our individual and collective states of consciousness. 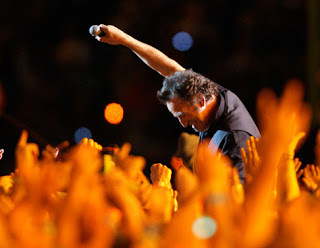 Today, just like the last hundred thousand years, the communal celebration of a Bruce Springsteen concert has the musical power to bond people together…..to unify an audience into one giant living, breathing, singing organism. Now, that’s what I call synergy! When a group of individuals are connected with purpose and passion through the power of music, the music transports us… it elevates and changes our emotions… it resonates and restores memories. Springsteen’s legendary song “Thunder Road” is so vividly imprinted on my emotional brain that it literally brings me to tears. 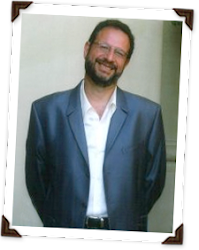 It is the deeply ingrained memory of being a pall bearer at my dear friend, Lenny Zakim’s funeral 12 years ago. That highly charged emotional day, six close friends carried Lenny out of the Temple sanctuary to Bruce singing “Thunder Road”. It was powerful…..and a moment in time that is forever etched in my soul. The minute I hear “Thunder Road", it triggers that deeply rooted memory to the extent that I actually feel like I’m uniting with my friend in the present moment……reaching across the great divide between the earthly and spiritual worlds, feeling my lost, departed friend… now, how powerful is that?!? When Bruce sings “Thunder Road” live with 20,000 voices joining in, I am transformed by emotion and transported to another dimension. The power of music is truly a primal and most valued “Secret of Life”.